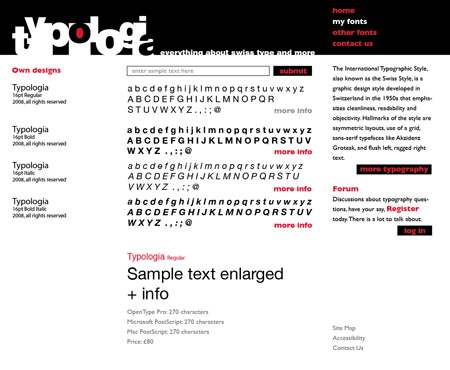 A site dedicated to typography and type design, both marketing the site designers’ own typefaces and also providing information, critical commentary and historical background on a wider range of type design issues. 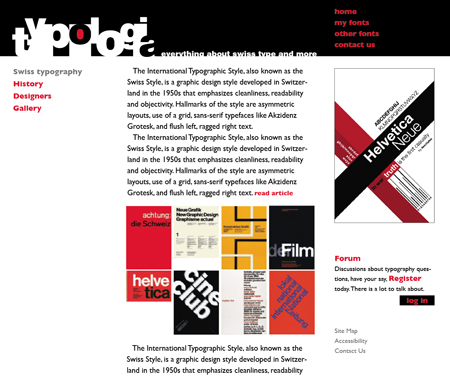 You should research, analyse and compare the site design both of large type organizations (Monotype, Linotype, Adobe) and independent designers (Gerard Unger, Hoefler and Frere-Jones, Jeremy Tankard, Nick Shinn, Kimera). You should also look at Émigré and Myfonts.